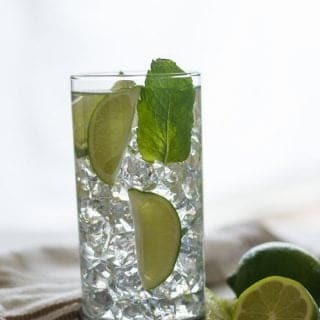 Non-alcoholic Mojito recipe, a perfect cocktail recipe exclusively for the people like me. Who could still enjoy the same cocktail but without any alcohol content? Very refreshing drink for the summer, I make a pitcherful for everyone who could enjoy including the children. I always search for the non-alcoholic drinks whenever I get into any sort of parties. It is not like that I do not want to drink, but it my stomach does not feel comfortable after the drinks with the alcohol content. I do not want to embarrass others without having a drink on my hand when I get into the crowd. I always try to make various nonalcohol homemade drinks that are a tasty and very simple recipe for watermelon lemonade, orange punch recipe. So, these type of drinks makes me and others more comfortable in the gatherings. This drink is very refreshing and healthy as well. Everyone loves this flavorful kind of mixer, and they enjoy by adding their own drink. Yeah, I know Gatherings and parties time, Summer is approaching. We are getting ready for our own ways of protecting techniques to protect us from the heat. Externally cotton clothes, sunscreens, and lotions help us to beat the heat. What to take internally? to avoid the bad effects of hot summer. Consider taking these type of refreshing freshly squeezed lemons and lime. They are not only tasty but also they are great thirst quenchers. This non-alcoholic mojito prevents dehydration in the summertime, and keep our body cool and energetic. 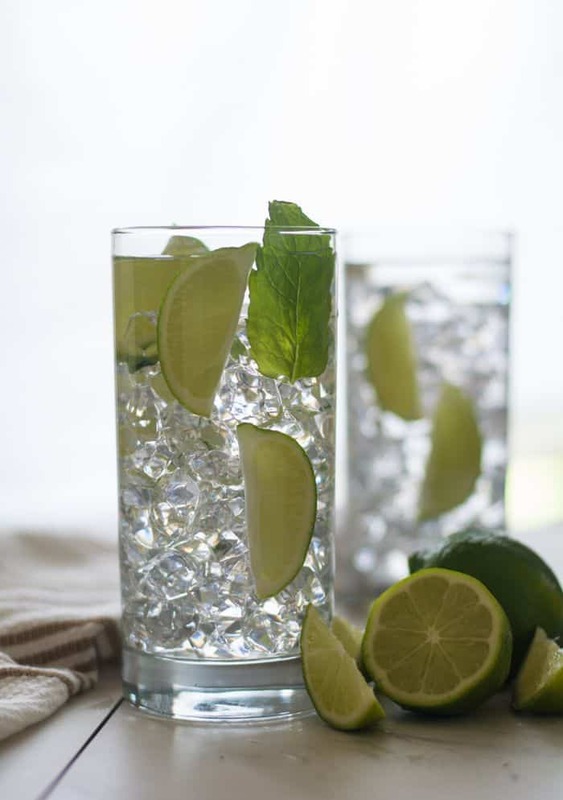 You might be heard from your parents saying about the health benefits of lime and mint. Lime is an excellent source of Vitamin C and good for digestion, constipation, weight loss and more. Where mint has cooling and refreshing flavor and great herb for digestion. So these ingredients not just give the taste but also extremely energizing flavor. Making this recipe is very easy like counting 1,2,3, and even kids can make it. A perfect recipe to engage the children in the kitchen and in the party preparations. Making this is always my son’s task when we have gatherings at home. 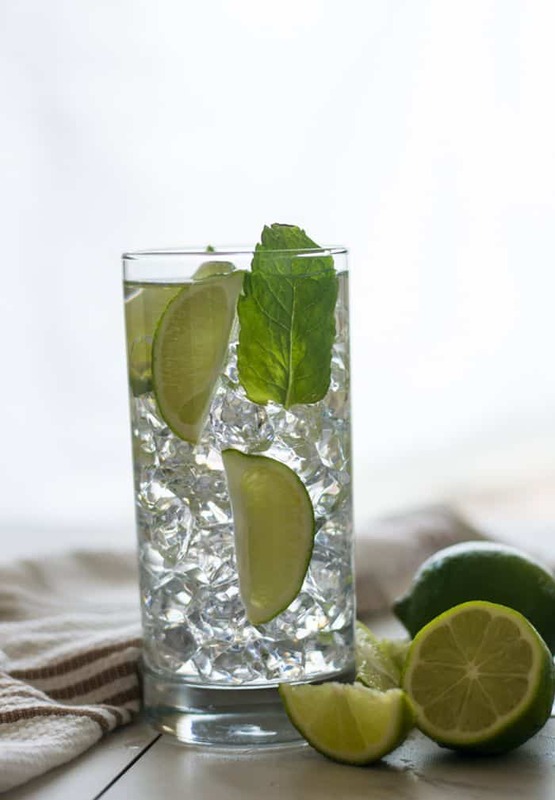 Non-alcoholic Mojito recipe, a perfect cocktail recipe for summer. A great herbal remedy to prevent dehydration and keep body cool and energetic throughout the day. In a pitcher add all the ingredients. Crush the mint leaves with hands slightly before adding to the pitcher. Mix well until sugar dissolves completely. Adjust the sugar and salt according to your taste and transfer to serving glasses and serve chilled. Sujatha – Sounds great on a hot afternoon. Hopefully we’ll have one soon so I can enjoy your recipe.